Core Temp is a compact program to monitor CPU temperature. It can show the temperature of each individual core in a each processor in your system. You can see in real time how the CPU temperature varies when you load your CPU. 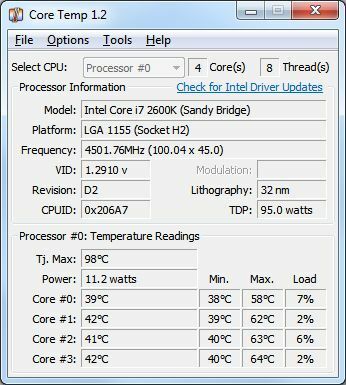 Core Temp is completely motherboard independent.